Play your cards right online! Playing cards, business cards, greeting cards – there are many kinds of cards floating around our world today. The .cards top-level domain provides an online gathering place for them all. This TLD is perfect for small letterpress companies who want to expand their online business, for blogs that discuss card games' rules and strategies, and for retailers who specialize in printed cards and/or e-cards. 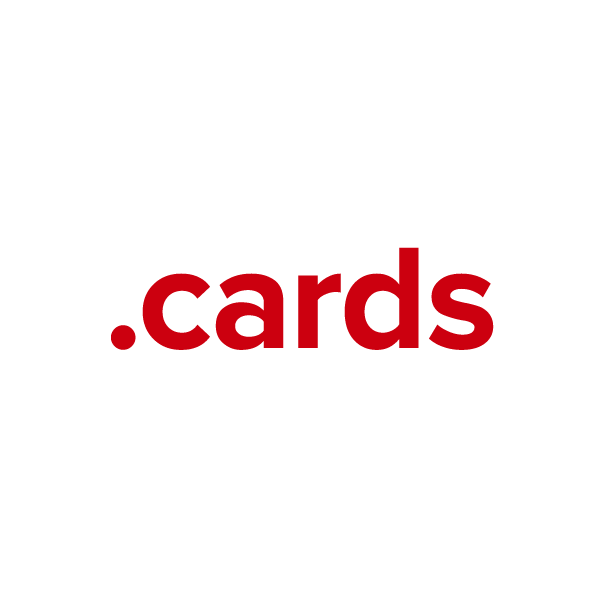 Whatever the occasion, .cards offers a recognizable and marketable TLD option. Register your .cards domain name through Namecheap, and you'll be joining the million-plus happy customers who already enjoy our award-winning service and support. We're pleased to include WhoisGuard privacy protection, Dynamic DNS support, URL and email forwarding, and other useful features, all at no extra charge.